Have you ever noticed that people in nearly every profession, workers in nearly every type of job, create their own ways of talking to each other? They develop words and phrases that mean special things to them, even if nobody else understands what they mean. Doctors, lawyers, car mechanics, farmers, builders — it doesn't matter what job; we develop special, sometimes even technical ways of speaking to each other. In many respects, this is the way it is in systematic theology. Systematic theologians build their theology with special vocabulary. They create their own ways of communicating with each other through technical terms. This is the second lesson in our series, Building Systematic Theology, a series in which we're exploring how Protestants construct systematic theology. 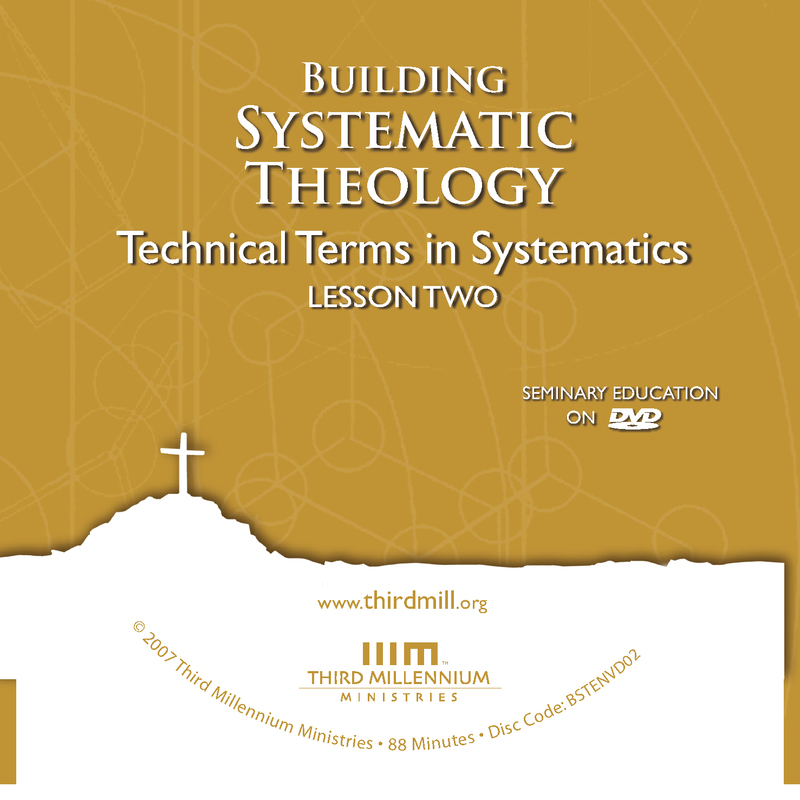 We have entitled this lesson, "Technical Terms in Systematics" and in this lesson we'll see some of the ways special words and phrases enable systematic theologians to fulfill their job. Our lesson will divide into three main parts. First, we'll gain a general orientation toward technical terms in systematic theology; what are they and what place do they hold in systematics. Second, we'll explore the formation of technical terms; how systematicians have developed their special ways of saying things. And third, we'll look at the values and dangers of technical terms in systematics, the ways they enhance and hinder our efforts to build systematic theology. Let's begin with a basic orientation toward technical terms. To gain a broad outlook on this subject, we'll touch on four issues. First, we'll define what we mean by technical terms. Second, we'll explain the relationship between theological terms and theological concepts. Third, we'll focus on the need for using technical terms in systematics. And fourth, we will describe the place of technical terms in the process of building systematic theology. Let's look first at what we mean by technical terms. When we first begin to study systematic theology, it quickly becomes apparent that we must learn the language of systematic theologians. Systematicians frequently use words and phrases that we don't normally use. And even when they employ words from daily life, they often use them in unusual ways. These special ways of saying things are often called "theological technical terms." For our purposes, we may define theological technical terms as "words and phrases with specialized meanings in theology." Sometimes, systematic theologians use technical terms to distinguish one thing from another. For instance, the phrase "theology proper" denotes the study of God in and of himself. It focuses on God's self-existence, his transcendence and the like. By contrast, the term "theology" by itself denotes the more general category of anything discussed in relation to God, including things like the doctrines of humanity, sin, and salvation. Sometimes technical terms also represent convenient ways of abbreviating complex subjects in a word or phrase. For instance, the technical term "Trinity" is just one word that quickly sums up very elaborate teachings about the Godhead. It's much easier in a theological discussion simply to refer to "the Trinity" than it is to take the time to explain all the intricacies of the doctrine every time we refer to it. In all events, theological technical terms are words and phrases that have specialized meaning in theology. Now that we have a basic idea of what technical terms are, we should look at another issue: the relationship between terms and concepts. What are the connections between the words we use and the ideas or concepts that these words express? How do they correspond to each other? We'll look at this topic from two angles: first, the connections between terms and concepts in language in general; and second, the connections between terms and concepts in the language of Scripture. Let's look first at the ways words and concepts relate to each other in general. If you ask most people how words relate to the concepts they have in their minds, they'll probably say that every word they use has a corresponding idea. Most people tend to think that there is a straightforward one-to-one correspondence between terms and concepts. It isn't difficult to see why people think this way. When we watch young children learn the language of their parents, they often begin by learning the names of people, objects and simple actions. A mother will point to herself and say "mommy," or hold up a piece of bread and say "bread." As time goes by, children learn more and more words, and they associate those words with more and more ideas. Adults learning a second language often begin with a similar process as they learn a language word by word. On these elementary levels, it's true that we often associate one term with one concept. But when we stop to think about it, the relationship between words and ideas is actually much more complex. We can summarize some of these complexities in two simple statements. On the one hand, many terms can signify one concept. And on the other hand, one term can signify many concepts. Let's take a look at both sides of this issue, beginning with the fact that many terms can signify one concept. It really isn't difficult to see that we often use many terms to express one idea. For example, I have a daughter whose name is Becky. And, in a conversation with someone, I can refer to her as "Becky," "my daughter," "Warren's wife," "Maggie's mother," "Lily's mother," "my progeny," "my only child." The list goes on and on. In each case, the terms have slightly different nuances but they all signify the same complex concept of that special person in my life. The same kind of thing happens time and again in ordinary language. Think of all the ways you can refer to the ocean. Consider the terms you can use to signify a country. In every language of the world, it's frequently the case that many terms express the same concept. On the other hand, it's also true that one term can signify many concepts. To see this, simply look at a dictionary of your own language. Many entries in a dictionary indicate that one term has many meanings. And these multiple definitions indicate that one term signifies many different concepts. Let's take just one example from every day speech. Consider the English word "bar." This one word can mean many different things. It can mean a pole, a reef, a prohibition, a professional organization of lawyers, a counter where food or drinks are served, and many other things. Depending on how it is used, this and many other words can express many different concepts. So, in language in general, there's not always a one-to-one correspondence between terms and concepts. Instead, many terms can signify one concept, and one term can signify many concepts. Now that we've seen the complex ways terms and concepts relate to each other in language in general, we should turn to the ways they connect in the language of Scripture. How do words and concepts relate to each other when we're dealing with the Bible? Is the situation different? Or is it the same? The reality is that most of the Bible was written in ordinary language. So, just as many terms can signify the same concept in normal language, many terms can also signify the same concept in biblical language. And just as one term can signify many concepts in ordinary language, one term can signify many concepts in the bible as well. Let's turn first to the fact that in Scripture many terms can signify one concept. One easy way to see this use of language is to look at all the biblical terms signifying the concept of Christian living. Consider for a moment the many ways that just one writer, the apostle Paul, referred to the Christian life. He called it "sanctification" in 1 Thessalonians 4:3. He spoke of it as "faithfulness" in 1 Corinthians 4:17. He also referred to Christian living as "obedience" in Romans 16:19. He signified it by the phrase "walking in the Spirit" in Galatians 5:25. And he described it as "conformity to Christ" in Romans 8:29 as well as "transformation" in 2 Corinthians 3:18. In all these instances, Paul was talking about essentially the same thing: what we might call "Christian living." There are many other concepts in Scripture that are also referred to in manifold ways. For example, think of all the names for Jesus in Scripture. Besides being simply called "Jesus" or "Jesus of Nazareth," he's commonly called Christ or Christos in Greek, which is a Greek translation of the Hebrew term meshiach, meaning "the anointed one." He is also commonly called "Lord," as in Acts 1:21, and "Savior" as in 2 Peter 1:11. Besides this, the Bible calls him "God" in Titus 2:13, "the Word" in John 1:1, "the last Adam" in 1 Corinthians 15:45, "The Son of God" in Luke 1:35, "The Son of David" in Matthew 21:9, "the king" in Luke 19:38, "the firstborn over all creation" in Colossians 1:15, and the "mediator" in 1 Timothy 2:5. Of course, all these terms have different nuances, but they hold together as a group of words that point to the same person, our Lord and Savior Jesus Christ, the second person of the trinity. So we see that like ordinary language, the Scriptures often use many words to refer to one concept. On the other hand, the Scriptures also use one term to refer to many concepts. Sometimes these are ordinary words and concepts that have little importance in systematic theology. But often the Scriptures use a single term to refer to a variety of concepts even when these concepts are very important in theology. Let's consider two terms in Scripture that play a central role in systematic theology. First, we'll look at the term "justification," and second, we'll look at the term "sanctification." Let's begin by turning to the family of words related to the New Testament Greek verb dikaioō: the words that we usually translate "justify," "justified" and "justification." The New Testament says many things about justification, but for our purposes we'll consider just two verses. For we maintain that a man is justified by faith apart from works of the Law (Romans 3:28, NASB). The word translated "justified" in this verse derives from dikaioō. Here and in many other passages, Paul spoke clearly of dikaioō as something that happens "by faith alone," entirely apart from human merit. In this sense, justification is the declaration of righteousness that takes place when Christians first believe in Christ and his righteousness is imputed to them. You see that a man is justified by works and not by faith alone (James 2:24, NASB). Here James uses dikaioō, translated "justified," quite differently from the way Paul used it in Romans 3:28. Paul said that justification is "by faith alone apart from works," but James said that justification is "by works and not by faith alone." Interestingly, both James and Paul appealed to the example of Abraham to prove their points. When we look at Paul's discussion of Abraham in Romans 4:1-5, it's clear that he referred to the events of Genesis 15, when Abraham believed God, and when this belief was credited to him as righteousness. This was Abraham's initial justification, when God first declared him to be righteous by means of his faith alone. But James referred to the events of Genesis 22, which occurred about 30 years after the events of Genesis 15. In Genesis 22, God tested Abraham in order to prove his faith by commanding him to sacrifice his son Isaac on Mount Moriah. James 2:23 says that in this way Abraham's prior faith was "fulfilled." In this case, James was not speaking about Abraham's initial declaration of righteousness, but about the "proof" or "vindication" of his righteousness. So, it's clear that the authors of the New Testament used the Greek term dikaioō in at least two distinctively different ways. Now what we've seen about justification is not unusual. Consider, for instance, the family of words related to the Greek verb hagiazo, often translated "sanctify," "sanctification," "saint" and even "holy." This one family of terms also signifies many different concepts in the New Testament. By way of illustration, we'll see three different concepts that one writer, the apostle Paul, signified by this one term. You were washed, you were sanctified, you were justified in the name of the Lord Jesus Christ and by the Spirit of our God (1 Corinthians 6:11). In this passage, Paul used the term "sanctified," or hagiazo, to refer to something that God does when a person first comes to Christ, whereby that person is made acceptable to God and separated from sin. Sometimes this is called definitive holiness. We can tell that this is what he meant by the other terms that he uses in the immediate context. He spoke of the Corinthians as having being "washed" cleansed from their sins, "sanctified" made sacred and acceptable to God and "justified" declared righteous by faith. Here, "sanctified" refers to the initial sanctification new believers receive at justification when they are made righteous and definitively joined to Christ. It is God's will that you should be sanctified: that you should avoid sexual immorality (1 Thessalonians 4:3). In this passage, Paul refers to something that believers must pursue. Sometimes this is called progressive holiness. Paul explained what it meant to be sanctified by associating it with avoiding sexual immorality. Here hagiazo refers to the ongoing process of believers avoiding sin throughout their lives. For the unbelieving husband has been sanctified through his wife, and the unbelieving wife has been sanctified through her believing husband. Otherwise your children would be unclean, but as it is, they are holy (1 Corinthians 7:14). In this passage, Paul used the family of words associated with hagiazo three times as he described families that have believing and unbelieving spouses. First, he said that the unbelieving husband is sanctified, hagiazo by his believing wife. Second, he said that the same is true for the unbelieving wife. And third, he used the adjective form of the word to remind the Corinthians that the children of these families are "holy" or sanctified. Now, Paul did not mean that God separates these unbelievers from sin to make them acceptable to him. Nor did he mean that the children of believers are saved. Nor did he mean that they are all pursuing holy living as Christians. It's clear from the rest of Paul's writing that saving faith is necessary for salvation. Paul referred instead to what we may call holiness without salvation, the concept that unbelievers and children in a family with at least one truly believing parent are sanctified in the sense that they are set apart from the rest of the world because of the presence of the believer. So we see that Paul used the biblical term hagiazo to refer to the initial experience of true believers, to the ongoing pursuit of holiness, and to the separation of some unbelievers even when they have no saving faith. Now what we've seen about justification and sanctification is also true about many other theologically significant words in the Bible. Just like in ordinary language, one term in Scripture can signify many different concepts. These complex relationships between terms and concepts in Scripture lead to our third concern, the need for technical terms and phrases in systematic theology. When students first encounter systematic theology, they're often bewildered by what seems to be an endless list of technical terms they must learn. I can't tell you how many times I've been asked, "Why do we have to learn all of these special ways of saying things? Why can't we just say things the way the Bible says them?" Well, on one level technical terms aren't necessary. It would be possible to study, learn, and teach theology even without them. But on another level, technical terms are necessary to create a coherent system of theology that embraces all of Scripture. Because the connections between biblical terms and concepts are so manifold, systematic theologians have developed a special vocabulary that is sometimes artificial, but that makes communication much clearer. It will help to see this need for clarity on both sides of the equation: first, we'll look at the confusion caused when many terms signify one concept; and second, we'll see the kinds of confusion that arise when one term signifies many concepts in the Bible. Let's look first at the need for technical terms when many terms in the Bible signify a single concept. As we have seen, biblical writers often refer to the same basic concept with many different expressions. Often, this fact makes it difficult for systematic theologians to reach the kind of clarity they desire. So, systematicians form technical terms to clarify what they mean. To illustrate how this works, let's explore the way the Bible talks about the concept of the church. The biblical teaching on the doctrine of the church is commonly called "ecclesiology." This technical term is derived from ekklesia, which is the New Testament Greek word for "church." Imagine a group of theologians who have come to give an address to a theological society on any topic they desire. One theologian might begin in this way: "Today I'm going to discuss the doctrine of the "Israel of God." Another theologian might say, "I'm going to discuss the doctrine of the "temple of God." Another might say, "I'm going to discuss the "body of Christ." Of course, it would not be immediately apparent what these theologians were intending to talk about. After all, in Scripture the phrases "Israel of God," "temple of God," and "body of Christ" can refer to many things other than the church. "Israel of God" might pertain to the nation of Israel. "Temple of God" could refer to the temple of the Old Testament. The "Body of Christ" might refer to the physical body of Jesus. Who could tell? Now, there would be nothing wrong with speaking about the church in all of these ways. The New Testament refers to the one concept of the church in these and many other ways. Yet, it's not difficult to imagine the kind of confusion these statements would cause. We could not be sure if these theologians planned to speak on the same topics or different topics. To avoid this kind of confusion, systematic theologians normally adopt the term "ecclesiology" as their technical term for discussions of the biblical teaching on the church. Simply put, confusion arises because many biblical terms refer to the same concept. But this confusion can be eliminated when theologians use technical terms to make their meanings clear. Systematic theologians also form technical terms to avoid the confusion that's created by the fact that a single word or phrase can mean many different things in Scripture. So, in order to communicate clearly, systematicians develop very specific, and often artificially narrow, definitions for technical terms. Take for example, the ways we use the terms "justification" and "sanctification" in systematic theology. In the Reformation, Protestants developed a way of describing the ordo salutis (the order in which salvation is applied to individuals) in contrast with Roman Catholic theology. In Protestant technical vocabulary, justification is the initial declaration of righteousness when God imputes the righteousness of Christ to an individual. Justification is monergistic, that is, it is all the work of God, and human beings are entirely passive. Sanctification, however, is defined in the Protestant ordo salutis as the ongoing process of pursuing holiness that follows justification. Sanctification, in this sense, is not monergistic, but synergistic, involving not only God but also the human will. These distinctions are very important to Protestant theology. But imagine theologians explaining the doctrine of sanctification who feel free to use the terms "justification," and "sanctification" in all the ways we've seen that they appear in the New Testament. We could easily expect theologians to say, first, "Sanctification occurs after justification." This statement fits well with the Protestant order of salvation. But such theologians who are not concerned with maintaining the technical vocabulary of Protestantism might also say, second, "Sanctification occurs simultaneously with justification." They could say this because the New Testament uses the term sanctification to refer to the initial holiness that is given to a person when that person is justified. And theologians not concerned with Protestant technical vocabulary might also say, third, "Sanctification occurs without justification." They could say this because the New Testament speaks of the sanctification of children and unbelieving spouses of believers. All of these statements are biblical in the sense that they use the words in ways that the Bible uses them. But it's not difficult to see how confusing these statements could be. If we were to hear a theologian making all of these statements, one after another without extensive explanations, questions would naturally arise. Which proposition is true? They can't all be true. At first blush, we would tend to say that these propositions contradict each other. Later in this lesson, we will see in more detail how systematic theologians deal with this kind of problem. At this point, it will suffice to say that systematic theologians try to avoid this kind of confusion by developing specialized or technical vocabulary as they discuss matters like sanctification and justification. They define these terms in limited ways that restrict the formulations they make. Now that we have seen the need for technical terms in systematics, we should turn our attention to the place that technical terms have in systematic theology. In a word, technical terms form the basic building blocks of a systematic theology. In a prior lesson, we saw that Protestant systematic theology follows the patterns of medieval scholasticism, which greatly benefited from Aristotelian logic.  In this regard, systematics proceeds in four major steps: First, it develops precise definitions for terms. Second, it uses these terms to formulate propositions. Third, it uses these propositions in syllogisms to create doctrinal statements. And fourth, it orders its logical arguments into a rational system of doctrine. Although no one follows a strictly linear process when constructing theology, this outline is a helpful way to summarize the strategy of building systematics. Let's take an example to illustrate what we mean. Suppose some systematicians want to discuss the subject of Christ's death. First, they would create or draw on terminology from traditional Christian vocabulary. In this case, a number of special expressions might take center stage, such as: "soteriology" (the teaching of salvation), historia salutis (God's accomplishment of salvation in history), "substitutionary atonement" (the idea that Christ died as the substitute on whom God poured out his wrath), and "ordo salutis" (the order in which salvation comes to an individual's life). They might also employ terms like "saving faith," "repentance," "forgiveness," and of course "Christ." Second, in one way or another, systematicians would typically incorporate these terms into propositions that express elements of what the Scriptures teach about the death of Christ. For instance, they might say or think things like these: "Soteriology divides into two important sub-topics: ordo salutis and historia salutis." "Christ's death was a substitutionary atonement on behalf of believers." "Christ's substitutionary atonement is the only hope for a person's forgiveness and eternal life." "Saving faith and repentance are essential aspects of the ordo salutis." These and many other propositions would express relevant facts for a theological discussion of Christ's death. On a third level, systematicians would draw their technical terms and propositions into a doctrinal statement as they inferred logical connections among specific facts. For instance, they might say or write a summation like this: "The soteriological significance of Christ's death must be seen in the light of historia salutis and ordo salutis. On the one hand, the historia salutis, the history of salvation, reached a climactic moment in the death of Christ. His death was a substitutionary atonement securing eternal forgiveness of sins. On the other hand, no individuals are actually forgiven and saved until the benefits of Christ's atonement are applied to them in the ordo salutis. When individuals exercise saving faith by repenting of their sin and trusting in Christ for forgiveness, they receive eternal life." Finally, these technical terms, propositions and doctrinal statements about Christ's atonement would lead systematicians to a larger outlook. They would connect their discussion of the substitutionary death of Christ with the large-scale pattern of systematic theology, seeking to answer questions like these. How does the death of Christ fit within the larger picture of soteriology? How does soteriology relate to other doctrines like theology proper, anthropology, ecclesiology and eschatology? This way of looking at the process of building a systematic theology is somewhat artificial. In actual practice, all of these steps are highly interdependent and form webs of multiple reciprocities. As theologians actually build a systematic theology, they're involved in all four steps all the time. But regardless of the order in which theologians actually work, it is still the case that technical terms form the most basic building blocks of systematic theology. Now that we've established a general orientation toward technical terms in theology, we should turn to our second major topic in this lesson: the formation of technical terms. How do systematicians create the specialized expressions they use? I can still remember a frustrated seminary student coming up to me one day after class. He looked at me and he said. I've been a Christian for many years now, but I can't understand half the words you use. Where do you get all these strange words? I looked at him and said, "Most of the words I use don't come from me. I got them from systematic theologians." And, then he looked at me and said, "Okay, then tell me where they got those words." It was obvious that the technical terminology we used in seminary had gotten under this man's skin and he asked a very good question. Where does all of this specialized vocabulary of systematic theology come from? In reality, technical terms in systematics are formed in a number of ways. To explore some of the main ways they are developed, we'll look in two directions. First, we'll see that many technical terms in systematic theology come from biblical terms. And second, we'll see that many other technical terms actually come from extra-biblical sources. Let's look first at some of the ways systematicians form their special vocabulary by drawing upon the bible. Most Christians feel much more at home when theologians use biblical expressions in their theology. We want our systematic theology to be true to the teaching of Scripture. So, it feels much more comfortable when theologians sound like the Bible. Even so, we need to realize that using biblical terminology as technical vocabulary for theology is not as straightforward as it may seem. Systematic theologians actually form technical terms from the Scriptures in at least three ways: First, by emphasizing one biblical term over other biblical terms that refer to the same concept; second, by emphasizing one meaning of a biblical term over other biblical meanings of that term; and third, by creating new meanings for biblical terms, meanings that never appear in the Scriptures. It will be useful to unpack these three approaches. So let's begin with the ways systematicians emphasize one biblical term over others. As we have seen, biblical writers often use more than one expression to refer to the same idea. To bring clarity to their discussions, systematicians frequently choose one of the many terms that refer to a concept in Scripture as a technical term, and they use this technical term rather exclusively. To illustrate what we mean by this, we'll look at the example of the doctrine of regeneration. In systematics, "regeneration" is a term used to describe that act of God by which new spiritual life is granted to a person. It refers to the first transition or change that takes place as a person moves from sin and death into new life in Christ. Many terms in Scripture refer to this concept. The term "regeneration" is a translation of the Greek word palingenesia, which occurs only twice in the New Testament — once in Matthew 19:28, and once in Titus 3:5. And Titus 3:5 is the only place in Scripture where "regeneration" is used in a way that signifies the beginning of new life in Christ. But this same concept is described by other terms as well. For instance, in John 3:3 we find the Greek phrase gennao anothen, translated "born again" or "born from above," and in 1 Peter 1:3 we find the Greek word anagennao, often translated "born again." In James 1:18, the word is apokueo, which simply means "give birth" or "bring forth." And Ephesians 2:10 uses the term ktizo, which means "create." In Galatians 6:15, the concept of regeneration is also signified by the term kaine ktisis or "new creation," and in Ephesians 4:24, kainos anthropos or "new man." Although many terms refer to this same concept, systematicians tend to refer to them all under the rubric of "regeneration." This one biblical term for this concept is chosen over others for simplicity and clarity. In addition to emphasizing one biblical term over others, systematicians also create technical terms by emphasizing one meaning of one biblical term over its other meanings. As we have seen, the writers of Scripture often use the same term to mean many different things. One of the ways systematicians try to avoid the confusion that this situation brings is to emphasize one biblical meaning of a term over its other meanings. All reliable systematic theologians are aware that the term dikaioō, often translated "justify" or "justification," is used in different ways in the New Testament. As we saw earlier in this lesson, it refers to at least two distinct concepts. In Romans 3:28, it refers to an initial declaration of righteousness by faith alone, but in James 2:24 it refers to proof or vindication of faith by works. Imagine what might happen if systematicians regularly used the term justification in both of these ways. If they were asked, "How is a person justified?" One might say, "A person is justified by faith alone and not by works." But another might say, "A person is justified by works, and not by faith alone." This type of theological conversation would quickly become confusing. One way systematicians avoid this kind of confusion is to turn "justification" into a theological technical term by emphasizing one of the biblical meanings of the term dikaioō over others. In response to the false teachings of the Roman Catholic Church, Protestants have emphasized the meaning of justification as a "declaration of righteousness." This justification takes place by grace alone, through faith and apart from works. So, when traditional Protestants have used the term "justification" without qualification, this is what they have meant. So we see that systematic theologians overcome the confusion that rises out of the diverse meanings of terms in the Bible by emphasizing one meaning of a term over others. This choice then gives the expression the value of a technical theological term. In addition to emphasizing one term or one meaning, systematicians also form technical terms from biblical language by creating new meanings for biblical terms. In other words, they use biblical words in ways that they are never used in the Bible. Man, by his fall, having made himself incapable of life by the Covenant of Works, the Lord was pleased to make a second, commonly called the Covenant of Grace, wherein he freely offereth unto sinners life and salvation by Jesus Christ. Notice that the confession does not suggest that the terminology, "Covenant of Grace," appears in the bible. Now it's obvious that the words "covenant" and "grace" are biblical words, but they do not appear in scripture in combination with each other with this technical meaning. As a result, the confession says that this covenantal arrangement is "commonly called the Covenant of Grace." The relationship between God the Father and the Son that unfolds throughout biblical history is commonly called this by theologians, but not by the bible. Systematic theologians have created this technical terminology using biblical expressions in new ways. To be sure, the concept expressed by the term, "covenant of grace," is a biblical concept. There is a unity to all of God's saving activity in the bible, and that unity is gracious and covenantal. But the Scriptures do not have a term for this large concept, so systematic theologians coined this technical term to express it. So, we see that theologians form technical terminology using biblical language in at least three ways: They emphasize one biblical term for a concept over others; they emphasize one meaning of a term over other meanings in the Bible; and they give new meanings to biblical terms. By these means, systematic theologians seek to ensure the clarity of their discussions of the Christian faith. Now that we have seen how systematic theologians form technical terms using biblical language, we should turn to the second major way the special vocabulary of systematic theology is formed. Systematicians also derive their terminology from sources outside of Scripture. We must always remember that to fulfill the great commission, Christian theologians have had to learn how to communicate Christian teachings in the various cultures where God has placed them. This is why patristic theologians often expressed themselves in neo-platonic terms, and it's why scholastics often expressed themselves in Aristotelian terminology. Protestant systematic theologians have also continued to follow the command of Christ by using extra-biblical terms, both by using terminology from earlier periods and by borrowing terms from their contemporary cultures. There are many ways extra-biblical terms appear in systematic theology, but it helps to think of three main approaches. First, systematicians adopt common terminology that is available to them. Second, systematic theologians attribute new meanings to extra-biblical philosophical and religious terms. Third, they often combine extra-biblical terminology with biblical expressions. Consider first how systematic theologians use common ways of saying things that come from outside the Bible. Perhaps the simplest way systematicians draw from extra-biblical terminology as they explain the teachings of Scripture is by adopting common vocabulary of their cultures. Now, in the patristic period, this pool of words and phrases came largely from Greek, the primary language of Christian scholars in the Mediterranean world at that time. In the medieval period, the primary language of Christian scholars had become Latin. In the modern period, Christians have used terminology from the various languages of the cultures in which Christianity has made significant inroads. The Father, the Son and the Holy Spirit have a single Godhead and power and substance, a dignity deserving the same honour and a co-eternal sovereignty, in three most perfect hypostases, or three perfect persons. In the past and present, the church has faced a number of false teachings about the relationships of the Father, Son and Holy Spirit. Put simply, some groups have tended to overemphasize the oneness of the Father, Son and Holy Spirit, while others have overemphasized their distinction. In order to reflect the whole teaching of Scripture on the unity and diversity of the Godhead, orthodox Christians use the extra-biblical expression "Trinity" as a technical term to signify that God is "three perfect persons" but "one in power and substance." Using this extra-biblical term helps to bring clarity to the issues at hand. God is Trinity. In the second place, systematic theologians also create new meanings for extra-biblical terminology used in non-Christian philosophical and religious discussions. They adopt these terms and modify their meanings so that they conform to and explain Christian teaching. Evangelical Christians often object when they realize that many terms in systematic theology come from religious and philosophical sources outside of the Bible. So, we should pause and offer a comment or two. We're right to fear that theologians may be led astray by using any vocabulary other than what we find in the bible. In fact, we must always be on guard against the encroachment of false non-Christian ideas into Christian theology. But, at the same time, so long as systematicians maintain Scripture as their final supreme judge, extra-biblical religious and philosophical expressions can be very helpful. As some of your own poets have said, "We are his offspring." Therefore since we are God's offspring, we should not think that the divine being is like gold or silver or stone — an image made by man's design and skill (Acts 17:28-29). The expression "We are his offspring" was previously used by two Greek poets who wrote at different times: Cleanthes and Aratus. But Paul confidently adopted this pagan expression as his own, saying in verse 29: "Therefore since we are God's offspring…" Now, Cleanthes and Aratus actually referred to Zeus, the head of the Greek pantheon, not to the God of the Bible. But Paul gave the terminology of these Greek poets a distinctively Christian meaning, insisting that it was the Christian God, and not Zeus, who had created humanity. Following Paul's example, systematicians may also adopt non-Christian religious and philosophical terminology at times, so long as they redefine them to refer to biblical concepts. [Christ is] truly God and truly man … recognized in two natures, without confusion, without change, without division, without separation; the distinction of natures being in no way annulled by the union, but rather the characteristics of each nature being preserved and coming together to form one person and subsistence, not as parted or separated into two persons. This statement describes Christ in words that are different from the terminology of the Bible. The council drew from extra-biblical sources and spoke of the natures of Christ. The council also said that Christ's natures are distinct, being "without confusion," that they are not altered by one another, being "without change," but that they are nevertheless inseparably united in Christ's "one person," being "without division, without separation." In fact, even the word "person," as used in this context, was probably borrowed from the legal vocabulary of that day in which a "person" was a legal term for an individual's identity. This technical language did not come from Scripture, but it was true to Scripture. And it was necessary in order to communicate the church's doctrines about Christ with precision. In the third place, systematicians also combine biblical and extra-biblical words in order to form their technical theological vocabulary. This kind of combination occurs in many different ways, some more striking than others, but one clear example can be found in the doctrine of sanctification. As we have seen in this lesson, the term sanctification is used in a variety of ways in the New Testament. These uses of the term have created an occasion for combining the term sanctification which comes from the Bible with adjectives that do not come from the Bible. In the first place, we have seen that in 1 Corinthians 6:11 the verb hagiazo signifies the change that comes on a person when he or she first believes in Christ. In the second place, we have seen that 1 Thessalonians 4:3 uses the verb hagiazo to signify the ongoing growth in holiness that Christians are to experience in their daily lives. Systematic theologians have brought clarity to the doctrine of sanctification by speaking of various types of sanctification. They speak of sanctification that occurs when a person first believes as "definitive sanctification," combining the extra-biblical word "definitive" with the biblical word "sanctification" to indicate that this kind of sanctification is once and for all, and that it moves a person into a state of holiness, separation from the world and consecration to God. The term "progressive sanctification" is used to denote the ongoing, progressive experience of growing in holiness, growing in separation from the world and consecration to God over a lifetime. In this case, the word "sanctification" comes from the Bible, but the word "progressive" comes from outside the Bible. As you can imagine, these combination technical terms can be very useful. Instead of speaking simply of sanctification, qualifications like these help to clarify what theologians mean. They help them distinguish the various uses of the term "sanctification" in the Scriptures. So we see that systematic theologians form technical terms in two basic ways. They draw from Scripture, and they draw from outside the bible. By these means, theologians provide terminologies that clarify their discussions and serve as the basic building blocks for constructing systematic theology. Now that we've gained a general orientation toward technical terms in systematic theology, and have seen how they are formed, we should turn to our third topic: the values and dangers of technical terms. What are the advantages and disadvantages presented by the special words and phrases that we find in systematic theology? By this time in our lesson, I'm sure that many of you have very different feelings about the whole subject of technical terms. Some of you are probably ready to learn just as much as you can about them while others probably wonder whether something so complicated can actually be worth all the trouble. Well, as we'll see, it's important not to overestimate or underestimate how technical language in systematic theology can help us. A balanced outlook will be both positive and negative because technical terms present significant advantages and disadvantages. To explore this matter, we'll look at the special vocabulary of systematics as it relates to the three major resources for building Christian theology. In other lessons we've suggested that God has provided three main ways for Christians to learn from special and general revelation. We gain understanding of special revelation through careful exegesis of Scripture, a vital resource for building Christian theology. Beyond this, God has also called us to take advantage of general revelation by giving attention to two other resources. We focus on one dimension of general revelation through interaction in community, learning from others, especially other Christians. And we focus on another important aspect of general revelation by giving attention to Christian living, our personal experiences of living for Christ as we seek to grow in our personal sanctification. Exploring these resources as they inform us on any given subject helps us build a responsible Christian theology. As the witnesses of exegesis, interaction in community and Christian living are harmonious and weighty on a particular matter, our level of conviction and confidence about that issue should normally grow. But as these witnesses are disharmonious and of less weight our levels of conviction and confidence should normally be lessened on a given subject. These highly interdependent resources: exegesis, interaction in community and Christian living help us in countless ways as we build Christian theology. Because these resources are so critical, we'll explore the values and dangers of technical terms in systematics in terms of each of them. We'll look first at technical terms and Christian living; second, we will explore technical terms in relation to interaction in community; and third, we will examine them in connection with the exegesis of Scripture. Let's look first at the theological resource of Christian living. You'll recall from the previous lesson that Christian living is the process of personal sanctification. This personal sanctification must take place on at least three levels: the conceptual, the behavioral and the emotional level. Or as we have put it, sanctification involves the development of orthodoxy, orthopraxis and orthopathos. Now these three dimensions of Christian living are highly interdependent, forming webs of multiple reciprocities. Correct thinking — or orthodoxy — affects our behavior (orthopraxis) and our emotions (orthopathos). Our behaviors (orthopraxis) influence the way we conceptualize things (orthodoxy) and how we feel about them (orthopathos). And of course, our feelings (or orthopathos) deeply influence how we behave (orthopraxis) and how we think (orthodoxy). Time will not allow us to explore all the ways technical terms impinge on this interplay. So, we will limit ourselves to one major way they can enhance and one way they can hinder Christian living. Let's look first at one way the special vocabulary of systematic theology can be a positive enhancement of living for Christ. One of the most important advantages of learning technical terms for Christian living is that they serve as simple references for complex biblical teachings. At first, the list of special expressions that appear in systematic theology can be daunting. There are just so many of them and they seem so difficult to remember. But after some time, technical terms actually offer the great advantage of making things simpler. We can recall intricate biblical teachings with a quick reference to a technical term and then apply them to our thinking, behavior and emotions. Imagine for a moment a person who does not have much knowledge of the vocabulary of systematic theology. For instance, as surprising as it may sound, I've often been asked by new Christians, "Is Jesus God or God's son?" It isn't difficult to understand why people can be confused about this. As they read the Bible without a knowledge of technical terms, they have no concept ready to hand that can help them. They read one biblical passage and it seems to say that Jesus is God. They read another passage and it seems to say that he is the Son of God who submits himself to God. No wonder then that Christians are often confused when it comes to practical questions like: "To whom should I pray, Jesus or God? If Jesus taught us to pray to the Father, then why do so many Christians pray to Jesus?" For that matter, "If Jesus taught us to pray to the Father, then why do we sing praises to the Holy Spirit?" To answer these questions for someone who has no background in technical theological language would take a lot of time and effort. They must search out countless biblical passages and draw them together into some kind of cogent understanding. This task is so complex that most young believers simply give up and just do what they see others doing. But imagine for a moment believers who know the technical vocabulary of systematic theology. If they wonder "Is Jesus God or is he God's son?" Or if they wonder "should I pray to the Father or to the Son or to the Spirit?" then answering their questions is a much simpler task. In fact, Christians who know the technical vocabulary of systematics usually don't even raise these questions because the answer can be given in one simple technical term: the Trinity. If a person is aware of the meaning of this term, then many of these kinds of questions are answered almost immediately, and we can almost intuitively apply the orthodox answer to orthopraxis and orthopathos. The ability to simplify and recall complex issues is one of the greatest enhancements technical terms offer our Christian living. Although the special vocabulary of systematic theology can enhance Christian living in a number of ways, we should also be aware that it can present hindrances to our sanctification. As I have watched myself and others become increasingly familiar with the technical expressions of systematic theology, one disadvantage has come to the foreground time and again. Knowing the special vocabulary of systematics can lead to spiritual pride. This is especially true with younger students of theology. Here's how the problem often comes up. Students of theology expend a lot of intellectual energy learning the technical terms of theology and they find them to be very convenient to use. But at the same time, most lay people do not have the ability, time or interest to learn these kinds of details. And often students of theology begin to think themselves superior to others who do not have the technical vocabulary of systematics. They become so full of pride that they actually believe increased vocabulary implies increased sanctification. But this is hardly the case. As we have said, growth in the Christian life, increased personal sanctification, does not come simply from conforming our thinking to the Scriptures (or orthodoxy). Acting on our faith and feeling appropriately in our faith are just as important. In fact, most believers grow in grace even when they do not learn the technical vocabulary of systematic theology. We can still understand the Scriptures and apply them to our lives without such knowledge. Experiences of life like persecution, suffering, and illness, often increase the sanctification of a person far more than the mere intellectual exercise of learning technical vocabulary. So, as important as it is to be familiar with the special words and phrases that appear in systematic theology, we must always be aware that they can actually hinder our Christian living if we allow them to lead us to spiritual pride, a sense that we are mature in Christ simply because we have learned a special vocabulary. In addition to understanding how technical terms can bring advantages and disadvantages to Christian living, we should also become aware of how they impact our interaction in community. Interaction in community is a major resource for building Christian theology because it helps us focus on the help that the body of Christ offers us. We can speak of three important dimensions of interaction within the Christian community: Christian heritage, present Christian community, and private judgment. Christian heritage represents the witness of the Holy Spirit's work in the church of the past. We learn what he taught our spiritual forebears. Our present Christian community represents the witness of Christians living today, what the Holy Spirit is teaching other believers around us. Our private judgment represents the witness of our personal conclusions and convictions on matters, the things that we bring to our interactions with others as the Spirit leads us individually. These dimensions of community interact with each other in a variety of ways, also forming webs of multiple reciprocities. Our heritage informs our present community and private judgments. Our present community mediates our heritage and affects our personal views. And our private judgments mediate the influences of our heritage and present communities as well. With these basic dynamics of interaction in mind, we should explore some of the ways the special vocabulary of systematic theology can enhance and hinder community interaction. 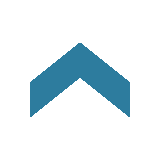 Let's take a look first at one important way technical terms can enhance interaction in community. One of the greatest ways technical terms can enhance community interaction can be summed up in one word: communication. When Christians know and are able to use the special expressions that systematicians have developed, they can communicate much more effectively with each other. On the one hand, we are able to interact more effectively with our Christian heritage when we know the language of systematics. The vast majority of theological works, commentaries, creeds, confessions, and other theological writings from the past make frequent use of technical terms as a way of summarizing Christian beliefs. And typically, systematic theology is deeply concerned with these traditional ways of expressing things. So, the technical terms of systematics help us greatly as we interact with Christians from the past. For instance, if you're interested in knowing what church leaders like Augustine, Aquinas, Luther, or Calvin taught, you will be at a tremendous advantage if you are familiar with traditional technical terms. To be sure, many terms have been coined after the days of these men, but nevertheless, technical terms give us ways of connecting with their writings so that we may benefit from what God taught them. On the other hand, interaction with our present communities can also be greatly enhanced if we and those around us share a common theological vocabulary. The next time you are in a class or church conference, listen carefully to the ways your fellow believers talk to each other about theology. It will soon become quite evident that good communication takes place when the participants agree on the meanings of terms that they are using. When they don't, their communication is stifled. Isn't it good that most Protestants use the term "justification" to mean "justification by faith alone"? Can you imagine the problems in communication if we were to use the term justification in different ways? Isn't it good that we can speak of "sanctification" and know what we're talking about? Isn't it positive that we can speak of the "humiliation of Christ" and the "exaltation of Christ" without having to ask what we mean? The more we know and share technical terms, the more we are able to communicate effectively with each other. Although it is true that the special vocabulary of systematics can enhance our interaction in these and other ways, it is also the case that it can hinder interaction in community. Many special expressions in systematic theology are archaic and do not communicate well today. Some of them come from as early as the patristic and medieval periods. Many others come from at least several centuries ago. Although these technical terms were created to facilitate communication when they were first formed, they are simply too archaic to communicate well today. As a result, we may learn these old terms, but many around us will not, and community interaction can be severely limited. I've encountered this problem frequently when I explain the doctrine of the hypostatic union, the union of the divine and human natures of Christ in the one person of Christ. How many people even know what the word "hypostasis means"? We may think we know what the terms "nature" and "person" mean, but we mean something very different today by these terms than ancient Christians did. So, as we become familiar with the technical terminology of systematic theology we have to be careful to recognize that it can actually hinder communication within community. Having seen some of the ways technical terms relate to Christian living and interaction in community, we should turn to the third major theological resource: the exegesis of Scripture. How do the special words and phrases of systematics affect our interpretation of the Bible? Exegesis is vital to building all Christian theology because it's our most direct access to God's special revelation in Scripture. We've suggested in another lesson, that it's helpful to think of three main ways the Holy Spirit has led the church to interpret Scripture. We've called these broad categories: literary analysis, historical analysis and thematic analysis. In the first place, literary analysis looks at the Scriptures as a picture, an artistic presentation designed by human authors under divine inspiration to influence their original audiences through their distinctive literary features. Second, historical analysis looks at the Scriptures as a window to history, a way of seeing and learning from ancient historical events that the Scriptures inerrantly report. And third, thematic analysis treats Scripture as a mirror, a way of reflecting on questions and topics that are of interest to us. Every time we interpret the Bible, we operate to some degree or another with all three kinds of analyses because they are highly interdependent. They too form webs of multiple reciprocities. Yet, at any given moment we may emphasize one approach over the others depending on our needs and our purposes. Systematic theology employs thematic approaches to scripture more than any other exegetical strategy. Systematicians seek to find what the bible teaches about themes or topics that are of special interest to them. In other words, systematicians approach the scriptures with questions related to particular doctrines. They ask questions like, "What does the bible say about God?" "What does it say about humanity?" "What does it say about salvation?" They examine the scriptures and gather information from this passage and that passage to find biblical answers to their questions. One of the greatest challenges facing systematicians in this process is how to determine which portions of scripture comment on their questions. "Does this passage address this doctrine?" "Does that passage speak to this or that topic?" Sometimes the choice of this or that passage is obvious, but many times it is not so obvious. And technical terminology in systematic theology is one of the complicating factors in this entire process. To understand how this is so, we must remember that the relationships between terms and concepts in Scripture are very complex. Among other things, many terms in the bible can signify one concept. And one term can signify many concepts. These manifold connections vary from one place to another in scripture and sometimes, they're quite confusing. By contrast, however, systematic theologians have developed technical terminology to avoid these kinds of ambiguities. They have created terms that are so specially defined that they are intended to express just one theological concept. In this sense, in systematic theology, there is a one-to-one correspondence between terms and concepts. Now this difference between terms and concepts in systematic theology in the bible leads to a very important observation. On the level of terminology, systematicians exercise terminological freedom. They do not seek to conform their theological expressions to the expressions of the bible. Instead, systematicians use biblical terms in their own ways. They also employ extra-biblical terms and even combine biblical and extra-biblical terms. At the same time however, on the level of concepts, sound systematic theologians always seek conceptual conformity to scripture. They strive to understand the ideas the bible teaches and to explain them in their own terminology. Although they exercise freedom in their terminology, systematicians have the goal of conceptual conformity. This basic distinction helps us see why technical terms in systematic theology can both enhance and hinder our exegesis of Scripture. In a word, when the distinctions between terminological freedom and conceptual conformity are kept in mind, our ability to select the right passages for particular topics can be greatly enhanced. But when it is forgotten, our ability to select properly can be greatly hindered. Let's think first about one way understanding terminological freedom and conceptual conformity in systematic theology can help us in exegesis. Unfortunately, many interpreters of scripture often operate in a way that may be described as overly restrictive. They wrongly assume that a passage of scripture speaks of a theological concept only if that passage uses the technical term that they identify with that topic. If their special theological term, usually a technical expression from systematic theology, does not appear in a passage, then they wrongly exclude that passage from consideration. In reality, systematicians must not be overly restrictive but appropriately selective as they explore scriptures. They can do this when they remember that biblical writers express topics with all kinds of terms. Biblical writers often comment on a topic or concept even when their expressions do not match the technical terms of systematic theology. For this reason, when systematic theologians turn to the scriptures for information on a given topic, they must be careful not to be overly restrictive by looking just for certain words. Instead, they must explore passages that have relevant concepts within them. For example, in this lesson we have seen that the scriptures use many terms to describe the concept or doctrine of regeneration. The initial transformation of a person from spiritual death to life in Christ is called "regeneration" only in Titus 3:5. But if systematic theologians restrict themselves to this one passage because their technical term is not used elsewhere, then they will not learn much about this topic from the exegesis of scripture. The Bible's teaching on the subject of a person's initial transformation from death to life in Christ is not restricted to the term regeneration. The scriptures speak of the same theological doctrine using terms like "new man," "born from above," "born again" and countless other expressions. Passages with the expression, "new man," do not need to be catalogued as a separate doctrine. Nor do verses with the expression "born from above" or "born again." They all speak of the same theological topic. In fact, there are passages that speak of this topic or concept without even using a particular word or phrase. When systematic theologians remember that they exercise terminological freedom and seek only conceptual conformity to scripture, they can learn about regeneration from all kinds of passages. They can be much more comprehensive as they look for what the scriptures teach about the concept of initial transformation no matter how it is expressed in the bible. While it's true that keeping in mind the terminological freedom and conceptual conformity of systematic theology can enhance our exegesis, forgetting this fact can also hinder our interpretation of scripture. There are many ways in which this is true, but one of the most common ways technical terms hinder exegesis is what we might call "overgeneralization." "Overgeneralization" is one of the most widespread problems introduced to exegesis by technical terms in systematic theology. It often occurs in this way: When students learn special terminologies in systematics and find them very helpful, they often begin to read their technical definitions into every place expressions appear in scripture. They wrongly assume that every passage where a word appears, addresses the same theological topic or doctrine. But when we remember that systematicians exercise terminological freedom and only seek conceptual conformity to scripture, we can avoid "overgeneralization" and perform appropriate selection. In other words, we'll be better equipped to choose those portions of scripture that actually address the topic or doctrine in mind. Take for instance what we have seen in this lesson about the term "justification." The term "justification" in traditional Protestant systematic theology refers to the concept of the initial declaration of righteousness that occurs through faith, apart from works, when Christ's righteousness is imputed to a person who believes. Now, this technical definition of justification is so prominent in systematic theology that it's easy to expect every verse with the word "justification," or dikaioō, to refer to the same doctrine. So interpreters either force their technical meaning of justification onto passages where it does not mean this or they modify the traditional doctrine of justification to accommodate wrongly selected passages. We have seen that James 2:24 uses the term "justification" or dikaioō in a way that differs from traditional systematic theology. Unfortunately, some theologians have thought that because the term "justification" appears in this passage that it addresses the doctrine of justification in systematic theology. And as a result, they confuse the doctrine of justification with the many uses of the term in Scripture. But we must understand James on a conceptual level rather than simply on a verbal level. Simply because the word "justification" appears in this or some other passage does not mean that it must be allowed to impinge on the systematic theological doctrine of justification. Because systematicians exercise terminological freedom and only seek conceptual conformity to scripture, we should be careful never to flatten the diverse use of terms in scripture. To do so will greatly hinder our exegesis. So it is that technical terms in systematic theology can both enhance and hinder our use of all three theological resources. Technical terms are valuable for Christian living, interaction in community and the exegesis of Scripture, but they also present dangers that must be avoided as we make use of these major theological resources. In this lesson we've explored several dimensions of technical terms in systematic theology. We've gained an orientation toward what they are and how they fit within the whole process of systematics. We've seen how systematicians form their special or technical terms. And we've looked at some of the values and dangers that technical terms present. As we continue this series on building systematic theology, we'll see the relevance of what we have learned about technical terms many times. Learning the special vocabulary of systematics and learning how to use it wisely can be one of the most helpful things a theologian can do. With a solid grounding in these matters, we can build a systematic theology that will both honor God and edify his church.